Author Spotlight – Kathryn J. Bain! 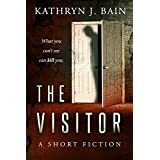 Tonight I have the privilege of introducing you to another one of my fabulous writing critique partners, award winning author Kathryn J. Bain! Kathryn’s sixth book, The Visitor, was released on October 14. Her awards include the Heart of Excellence Readers’ Choice Award and the Royal Palm Literary Award for Inspirational Fiction. 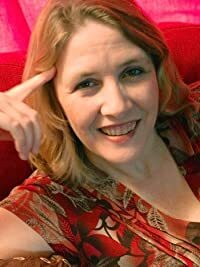 After being President of Florida Sisters in Crime from 2010-2012, Kathryn is currently the Public Relations Director for Ancient City Romance Authors. Kathryn has also been a paralegal for over twenty years and works for an attorney who specializes in elder law. Whenever any of the rest of us in our group write a crime scene, it has to pass muster with Sergeant Kathryn! Kathryn grew up in Coeur d’Alene, Idaho. In 1981, she moved to Boise, but it apparently wasn’t far enough south, because two years later she headed to Jacksonville, Florida and has lived in the sunshine ever since. What you can’t see can kill you! When Christine Westman bumps against a stranger in a Jacksonville supermarket, he gives her only one month to live. A killer moves into Christine’s walk-in closet and watches her nightly preparing for the day of her death. Can Christine survive when midnight hits and The Visitor comes calling? Would God bring her through cancer to die at the hands of killer? 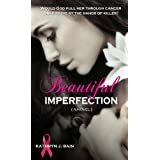 When witnesses to a mass murder start dying, breast cancer survivor Teddy Federline must push aside her anger and trust an ex-boyfriend to ensure she lives long enough to testify against the killer. Detective Sloan Michaels still has deep feelings for Teddy but realizes that after the way he left her years ago, he has a lot of making up to do. Now, he must keep his focus on the case and off the woman he loves. If Sloan doesn’t keep Teddy safe, he’ll never get a second chance. I thoroughly enjoy critiquing Kathryn’s stories – mainly because I never have a clue what’s going to happen next, and she’s a master at drawing out suspense! All her books can be found here. Don’t miss any of them!